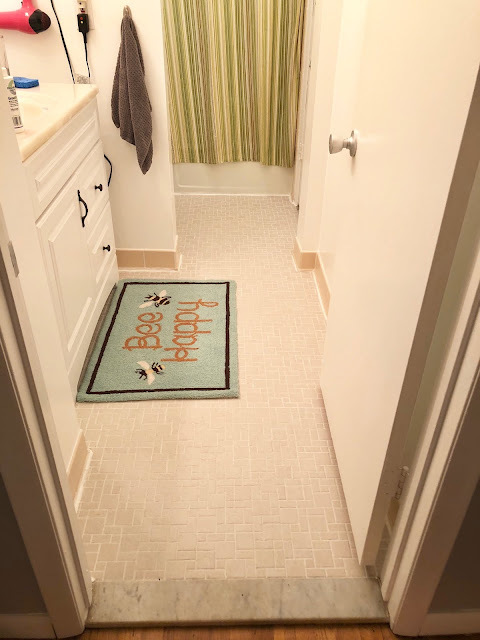 CocktailMom: Makeover your Bathroom Tile Without Breaking the Bank! Makeover your Bathroom Tile Without Breaking the Bank! I have tried everything to clean this floor. We inherited the look of this tile when we bought the house, the tile is original to the house actually. 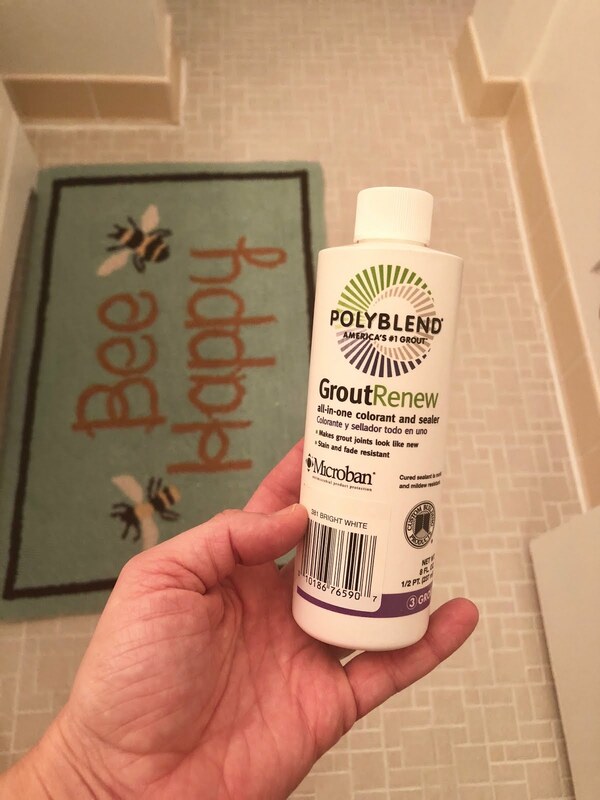 I have purchased so many products that claim they will renew grout back to its original glory and they have all failed miserably. I have even been on my hands and knees with a toothbrush and straight bleach trying to clean this floor. Nothing worked. It left us thinking that we needed to redo the bathroom and had contractors out to give us a price estimate on flooring, tile in the tub area, light fixtures and all the other little things that you need but don't think of costing money like installing a towel bar. Both contractors put us in the 5-7 thousand dollar range to do everything! On a yoga teacher's salary, that is not in the budget! So I spent several hours watching youtube videos and reading up on how to regrout your floor. And determined that it was too messy and involved purchasing tools I didn't already own which resulted in a bigger expense. Then thanks to the Pinterest-algorithm Gods this product, Grout Renew, came up in my feed. I was immediately interested, painting grout? I can totally do that! I read several other blog reviews that showed amazing before and after pictures and I was willing to give it a go. When I told people I was doing this they gave me a look that clearly said they thought I had completely lost my mind. For $14, I was willing to try it. I set up my Ipad and would watch/listen to a show while on my hands and knees perched on a pillow with my little paintbrush painting the grout around each square and rectangle. I took my time, I didn't consistently do it for hours on end. I'd do about 45 minutes and then be done for the day. I wouldn't get to it every day but several times a week I'd be perched on my pillow in a meditative state painting the floor. It was rather quite pleasant. Our floor was in really bad shape and it took two coats to cover the aging dark grout. It was faster the second time around as I had gained confidence in painting. After the painting was done I cleaned the floor and then put an additional sealant on top. All of the products I purchased at Home Depot because that is what is closest to my house. In the midst of painting the floor, I decided to paint the whole bathroom which really brightened up the room. I am loving how it turned out. And the entire project cost a little less than $100!